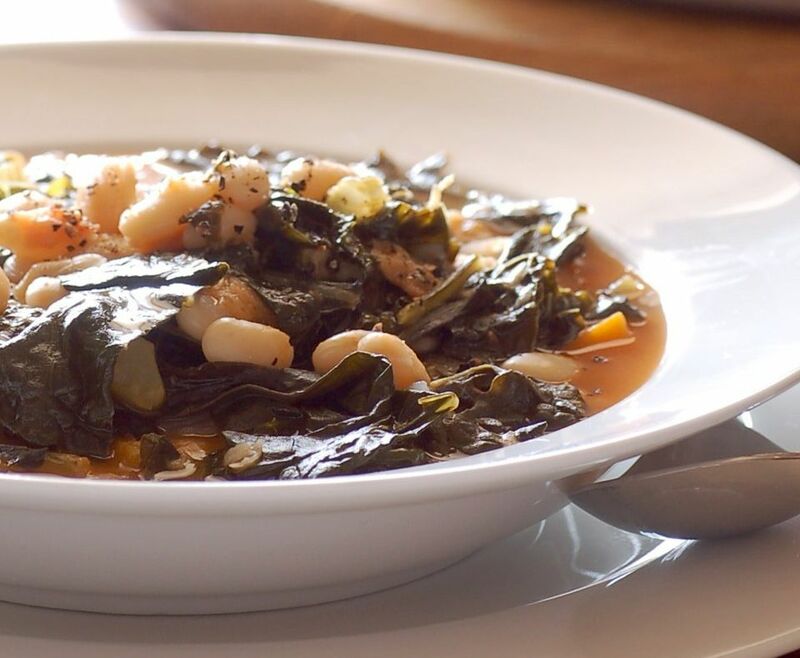 Cannellini beans and Swiss chard combine in this healthy and simple white bean soup recipe. It's low-fat, vegetarian and vegan, and the Swiss chard makes it very nourishing. It can also be made gluten-free by substituting gluten-free pasta or orzo. Be sure to check that the vegetable broth is also gluten-free as some spices have an anti-bonding agent that contains gluten. If you want to make your own homemade vegetable broth, don't throw out those Swiss chard stems! Chard makes a great addition to any broth or homemade soup, just add them to the pot of your next recipe. In a large soup pot, sauté the onion, carrot, celery, and garlic in olive oil for 2-3 minutes. Add the beans, vegetable broth, Swiss chard, corn, macaroni pasta, and Italian seasoning to the pot, stirring to combine. Bring to a boil, then reduce to a medium simmer. Heat for 8-10 minutes, until macaroni and chard are both cooked. Serve and enjoy your white bean and chard soup!